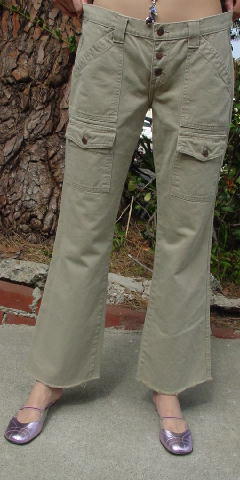 These 100% cotton cargo pants were made in the USA by Joie and are in a sandy-pale tan khaki color. 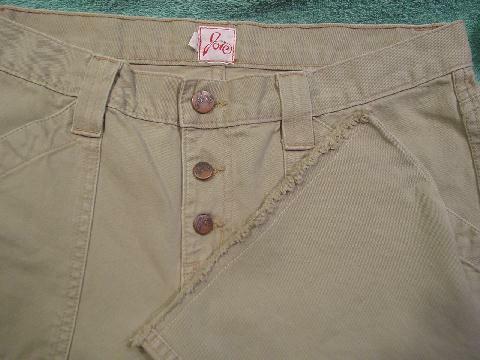 They have a two antique copper button logo fly and one button waistband closure. 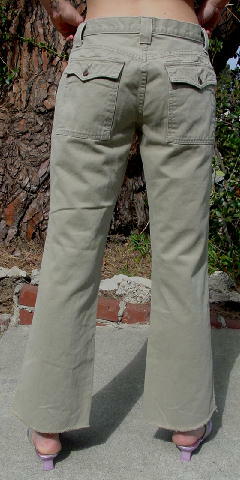 There is a 1 3/8" wide waistband and belt loops. They have two upper angled pockets and below those are two flap pockets with a logo button on each. The legs have short fringes at the bottom.